You'll have to hop precariously around Destiny's Venus map to find this one, but it appears one player has discovered an exploit that eventually sends them warping through one of the game's planned DLC maps in the area. 1: Start Patrol on Venus, and head to "The Citadel". 2: Once at the Citadel, head in "The Juncture". 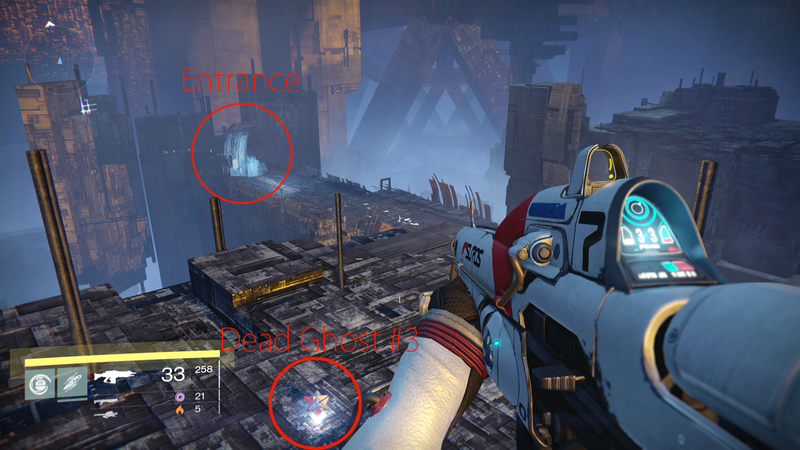 3: Kill every enemy in "The Juncture"
4: On the left wall, jump your way up using the Vex architect. 5: Once high enough up, jump into the center beam and land on the invisible floor. 6: Jump into the graivty lift, and explore "The Terminus". The area is called The Terminus, and Nowise10 has already discovered the locations of three dead ghosts that you can currently pick up (the third was discovered after the video was posted). Consensus seems to be that you can't access the Grimoire cards attached to them, but that you do get the credit for it. Nowise10 says the area is part of a mission in House of Wolves, an expansion pack that Bungie has already announced but we know more about thanks to a big leak of mission names and details last month, but I can't be sure. It certainly does look like an area waiting to be filled with enemies, though. We've reached out to Activision and Bungie to verify and will update this post if/when we hear back.